"Well I am docked at a marina up north in Canada. I only brought a single uke; I bet you can guess which one. I am just in awe. 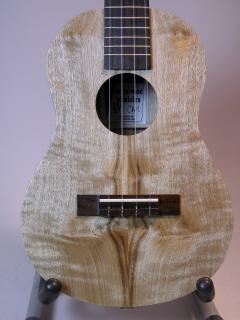 This uke has opened up so much already and I cannot believe how my playing has so quickly evolved with the instrument. I have already written and completed not one, but two original instrumentals with it and I have made good progress on many other things. This uke just sings. The sustain is phenomenal and the note clarity is really unmatched. The action, fit, finish and playability is beautiful and when I am not playing it I have a hard time keeping my eyes of the grain of the stunning myrtle wood. You guys built me a hell of an instrument!!" 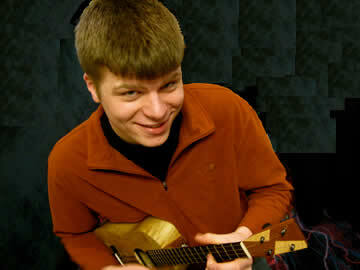 Matt is one of the fastest growing stars on the ukulele scene. From his first YouTube in 2008, to taking up the instrument seriously in 2009, to his appearance on the main stage at the Reno/Tahoe Uke Fest in 2011, Matt is a sought-after performer and instructor. Matt is also one of the more active members of Ukulele Underground and has a very successful teaching practice, mainly over Skype. We're proud to have Matt playing one of our instruments.